If you’re looking for hardworking, reliable and understanding driving instructors in Leeds, our instructors at Online School of Motoring will always go the extra mile to ensure that you past your driving test first time. All of our driving instructors are fully qualified and have the experience needed to make sure that our learners get the best service. OSM will always work to a schedule to suit you, even if you require driving lessons at unsociable hours. For those on a tight schedule we can provide intensive courses and our instructors are happy to give extra tuition and revision to those who feel they need some more help. Our learner drivers in Leeds will learn to drive in a Ford Fiesta. This model of car is easy to handle and adapt to; and with the increased security we believe it is one of the most reliable cars for learners. As it’s a light, responsible car, our students can feel relaxed and in safe hands. When it comes to our driving lessons, our Leeds driving instructors will always be there for you. We understand that learning to drive can be a difficult and stressful experience and we aim to make it as simple for you as possible. Book now for your first lesson at half price. 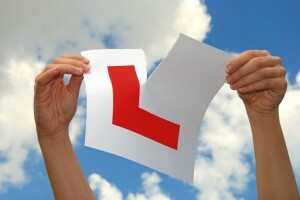 To make driving easier, we offer your first lesson at half price. We believe that this will encourage you to learn while giving you an insight to the lessons you will receive. Our instructors are more than happy to help you in every way that they can. No matter how you learn, our instructors will keep to a pace that suits you, so you never feel rushed and always know that you are in the best hands. 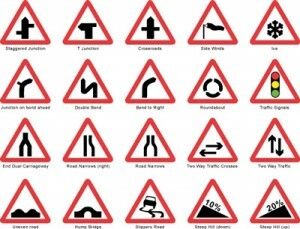 We strive to give our learners confidence in themselves as well as their driving. What can OSM do for you? OSM is a family run driving school, and we understand how it can be difficult to find time to learn to drive. For our learners we offer intensive courses, individual lessons and 5 week prepaid periods. We always make sure that our students get the most out of the services that we provide. To make learning to drive at the best standard, our instructors are happy to work unsociable hours and provide extra tuition and revision for students that feel they may need extra help when passing their theory or practical test first time. Click here for prices. For driving instructors Leeds, call Online School of Motoring on 0798 965 2388 or fill out a FREE QUOTE form below, to book your first driving lesson at half price.